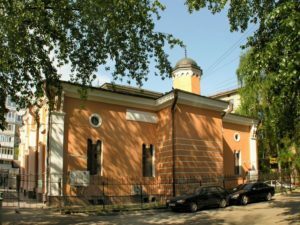 This mosque is the first mosque that built in Moscow. 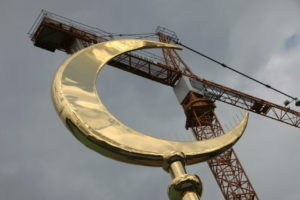 Muslims need a lot of struggle to build this mosque. At that time, the mosque building should not be draw attention compared to other buildings. Finally, the mosque was built with wood and looks like an ordinary house. Historical mosque only has one storey and one tower. 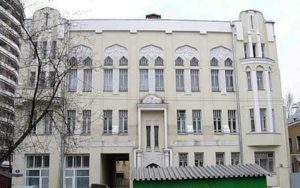 In 1917, the Russian Muslim Congress was held at Asadullaev’s House. After the revolution until 1941 at Tatar Domprose (educational house) was established kindergartens. In addition, there were schools, youth associations, orphanages, theaters, as well as various studios. 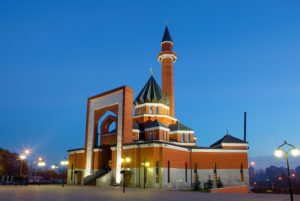 Moscow Cathedral Mosque is the largest mosque in Europe. The capacity of mosque reaches 10000 people. Moscow Cathedral Mosque built in 1904 and have some reconstruction. Cathedral mosque located in the center of Moscow. Naturally the construction requires 170 million dollars. This because of many ornate decorations and high-value architectures such as domes. This mosque pavilion is made of 12 kg of gold. Cathedral Mosque not only has a place of worship, but also has an Islamic museum. Even there are 3 strands of hair Muhammad Prophet at this museum. Beside that, there is a room that displaying photo of First President of Indonesia, Sukarno. He took a picture with Soviet leader Nikita Kruschev with Russian writing under the photo. This mosque became the first house of worship for Muslims in the capital in 90 years. Yardem Mosque sometimes reffered as the “New Jerussalem”. The mosque is able to accommodate as many as 1,200 jemaah. Architecture of the mosque similar to the style of buildings in Central Asia and Iran. The location of the Yardem Mosque is very interesting because of its location adjacent to the Orthodox Chapel. In the same area there is a mosque for Shia Muslims, Inam. The mosque built in 1999 was initiated by Azerbaijan’s first president Ayaza Niyazi bin Mutalib. In the same year, Russian community opened a new mosque in the hills of Poklonnaya. Important guests from various countries arrive in its opening. 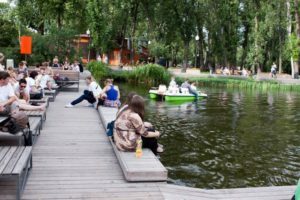 Its coincides with the celebration of the 850th anniversary of Moscow. This mosque’scontraction project was head by Ilyas Tazhiev. He is one of the famous architect in Russia. The exterior design of the mosque combines architectural models from various school buildings of Eastern Muslims, such as Tatar, Uzbek, and Caucasian. Memorial Mosque became one of the most unique architectural ornaments in Moscow. In Ramadan, near from the mosque opened “charity tent” open for breaking the fast. Red field adjacent to the Kremlin on the west side. The building is composed of a towering red concrete stone with a beautiful architecture. 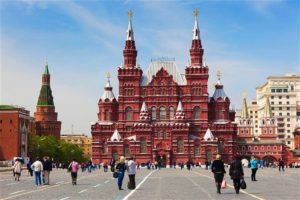 Its representing the symbol of the city of Moscow as the political, historical, economic, and religious center of Russia. This field ia always used to official ceremonies or others important moment. That’s why Read Square also called Russian field. Every time there is a commemoration of Russia’s triumphant feast or other important event this is where the armored vehicles always start from Red Square. See also Parade of Russia’s Victory Day that held in Red Square too. SHM or the maritime History Museum of the Country has many collections representing every phase in Russian history. There are some performance that often held in this museum. 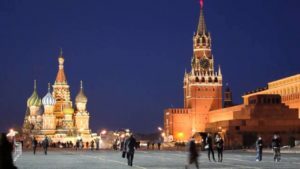 Which showcases the ancient Russia until the 21st century. 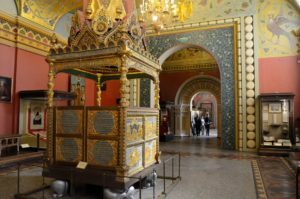 You must visit this museum if you love Russian history. Metro station in Moscow is famous for its architectural style of sculptures, monuments, paintings, mozaic, and other ornaments. 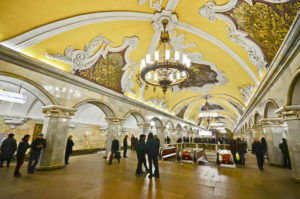 Its also touted as the Moscow underground palace. Some of them are protected by the state as an invaluable cultural object. Uniquely, the Moscow metro line map has the most interesting design compared to any metro line map in the world.